Wimbledon 2019 is running from 1 July to 14 July. 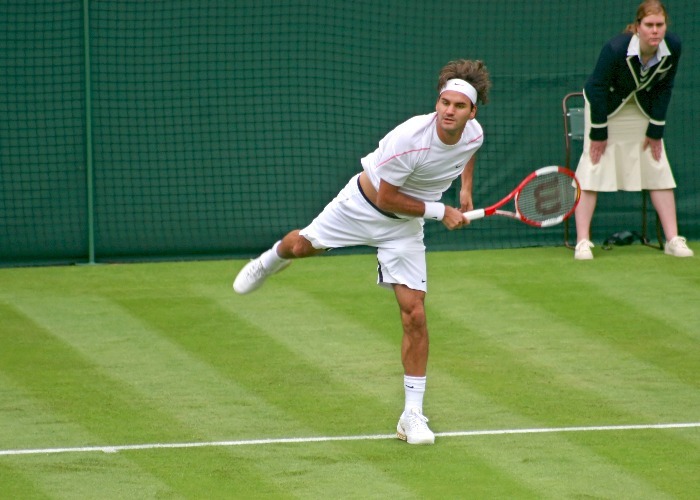 We look at how to get cheap and even free tickets for this prestigious tennis tournament. Want cheap tickets for Wimbledon Centre Court? Sadly, most of these were allocated in the public ballot, which is now closed. You can still get tickets for Centre Court, Court No.1 and Court No.2 on the day, but numbers are limited. For Centre Court, 500 tickets are available each day at the turnstiles, except for the final four days which are all pre-sold. However, there are 500 tickets available each day for both No.1 Court and No.2 Court (or for as many days as there’s a full programme of matches for the latter). For the cheapest Centre Court tickets, go along on the first two days when you’ll pay £64 a time, with prices rising up to £108 by the end of the first week. Tickets are sold at the turnstiles but it’s one big queue for both ground passes and seats so if you want to stand a chance of getting tickets on the day join the queue a couple of hours before turnstiles open at 10.30 am. If you're travelling down to London to watch the tennis, make sure you avoid rip-off rail and coach fares. Several hundred tickets are sold off on the day for play on Centre Court and No.3 court through the Ticketmaster website. You can sign up for ticket alerts so that you can be notified before the tickets go on sale. Returned tickets are available for Centre Court and No.3 court and go on sale 48 hours before the day of play. Reserved tickets for Centre Court and No.3 court go on sale each morning for the following day's play. Given Wimbledon's popularity, tickets are generally snapped up in minutes so you'll need to act fast. Also, note that there's a limit of 2 tickets per person, address or credit card and the cardholder must be attending themselves. Sign up for the Wimbledon email newsletter for the latest information before tickets go on sale. A ground ticket is great value for money as it gets you through the gates where you then can take your pick of matches on the outside courts with standing room and unreserved seating across courts 3-18. Ground tickets are more expensive during the first week, at £25, but this is when you’ve more chance of seeing the big-name players on the outside courts as with so many matches to get through, not everyone can play on the main show courts. There are several thousand on sale every day, and if you go after 5pm prices are cheaper still. For the ultimate cheapest ticket into the Wimbledon grounds, turn up on the last Sunday after 5pm when you can get into the grounds for just £5. Even a ground day ticket on the final Sunday is just £8. While you may only be in time to catch the end of the mens’ final on the big TV screen at Aorangi Terrace (first known as Henman Hill and more recently Murray Mount), there should still be match finals on the outside courts, depending on the schedule, which may include the veterans' finals and boys' and girls' doubles finals. With a ground ticket, you’re in with a chance of getting a Centre Court seat for £15, while Court No.1 and Court No.2 tickets will be available for £10 if you head for the ticket resale kiosk. Any tickets handed in are sold off from 3pm onwards and profits donated to charity. If you’re thinking it’s unlikely true tennis fans would give up their seats so early on in the day, remember there are lots of people who go to Wimbledon on corporate trips. This should go without saying. However much you want a ticket, don’t do it. You’ll get ripped off as you’ll pay over the odds and they may not be genuine or accepted at the turnstiles. You can double your chances of getting tickets with a second ballot if you join the Lawn Tennis Association as some Wimbledon tickets are allocated for tennis club members. However, membership costs from £20 a year, so if you don’t play for a club and are only joining on the off chance of securing tickets this could prove an expensive option. Unfortunately, the Lawn Tennis Association ballot of Wimbledon tickets has already closed this year. While it may mean serving the strawberries rather than eating them, you will at least get inside the grounds for free. FMC is the official caterer for the Championships and employs around 1,800 people to cover Wimbledon. For more check out the FMC website. Family not interested in the tennis? Why not let them enjoy a cheap day at the cinema instead – our guide will help you get bargain tickets. If you don’t make it this year, be first in the queue for next year. Most of the showcourt tickets are allocated via the public ballot and anyone can apply by writing to the All England Lawn Tennis Club, PO Box 98, London SW19 5AE. For Wimbledon 2019, the ballot forms were available 1 September until 15 December and future ballots are likely to run on these dates. Ask for a ballot application form and enclose a stamped addressed envelope. Forms must be returned by the end of December and you’ll get to hear in late February if you’re successful, although you could be contacted as late as July. In the meantime, sit back and enjoy this year's tennis for free on the telly. For dedicated fans who want more tennis, have a read of our guide to watching Sky TV for less.